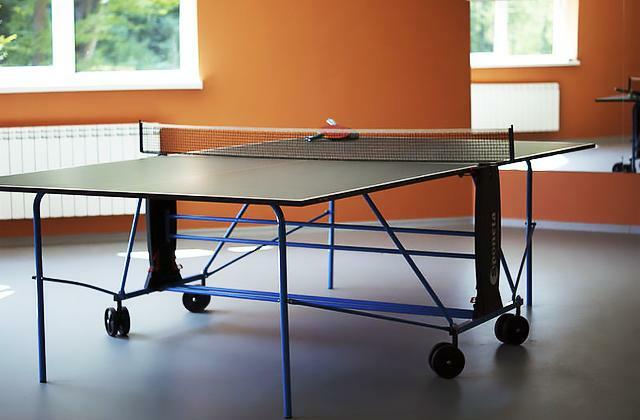 TRI-VOLTAGE system not only makes the racket durable but also ensures its manoeuvrability. Some customers aren't satisfied with a quality of string. 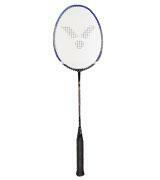 The Yonex Voltric 7 Badminton Racket is a perfect choice for experienced players. 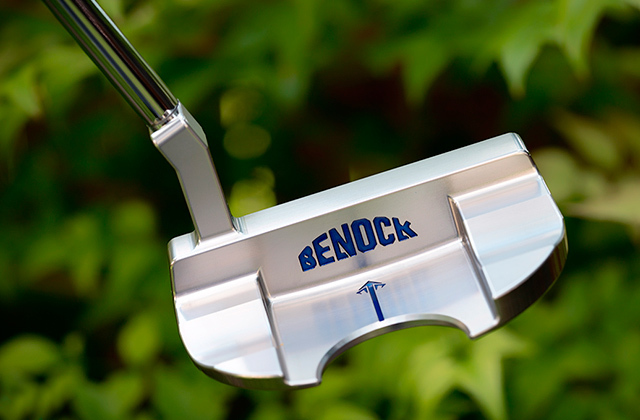 The isometric head provides a large sweet spot thus making all hits much stronger and well-balanced. The strings need frequent restringing. 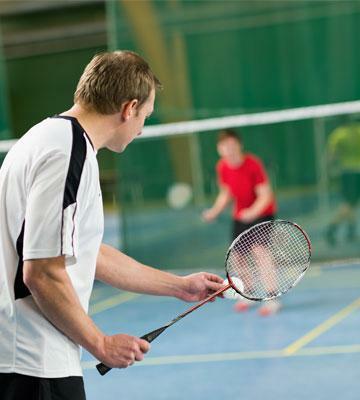 If you have just started playing badminton, this racket will help you improve your skills. 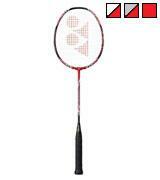 The frame and shaft materials ensure decent aerodynamic properties of the racket. 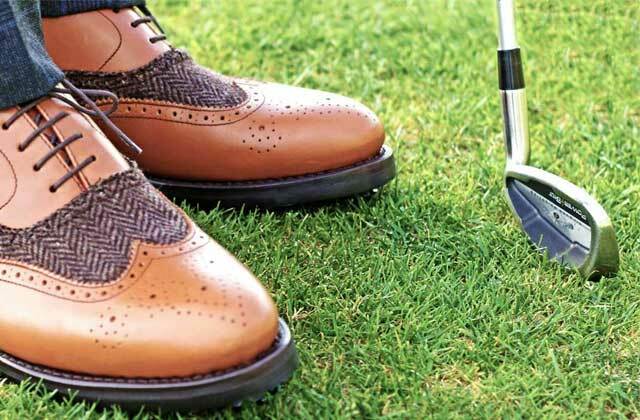 A thin shaft might be inconvenient to hold. 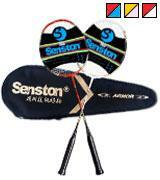 Choose the Senston Badminton racket set, and you'll always know what to do to make your leisure more exciting. 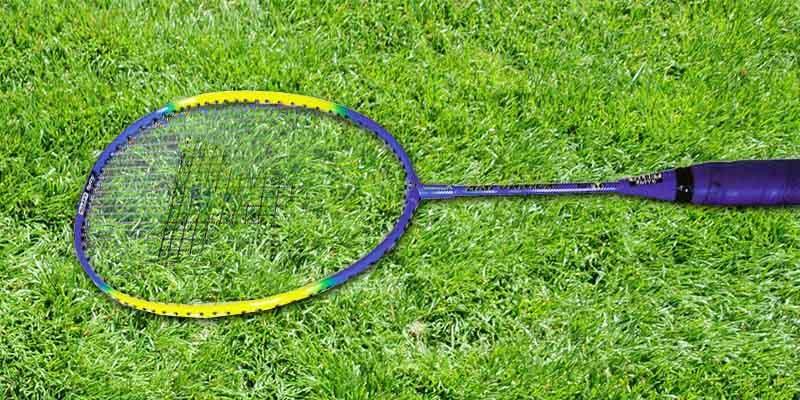 The drop-shaped head of the racket guarantees that a player makes much more successful pitches and gets a better response. The length of the racket is rather short and therefore, may not suit adults. Created especially for children's use, your kids will be able to see how much fun a badminton is, longing for playing it more and more. 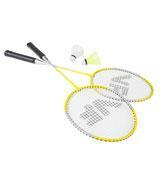 The package includes 2 shuttles, so you can start playing badminton the moment you unpack the set on delivery. A shuttle might get stuck between the strings. 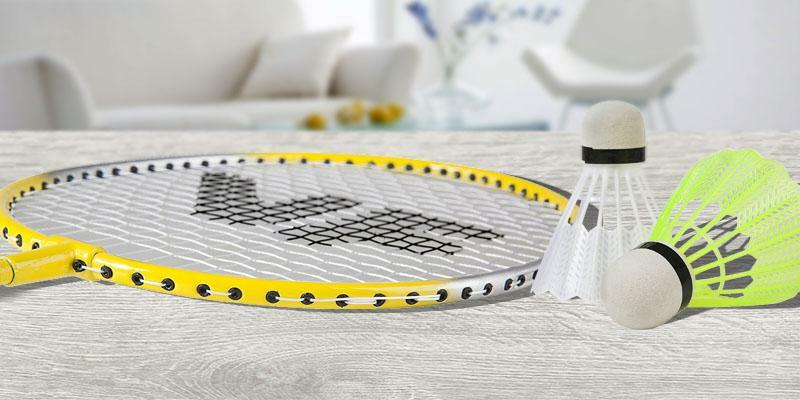 If you need a budget-friendly set of rackets to play badminton now and then when being on picnics or elsewhere, the Vicfun set will be the right choice. If you regard badminton a bigger sport than just a hobby, you ought to know for definite that playing it good requires a quality racket. The Yonex Voltric 7 being valued by so many professional badminton players worldwide is surely a decent alternative to consider, provided that you do play the game more often than not. 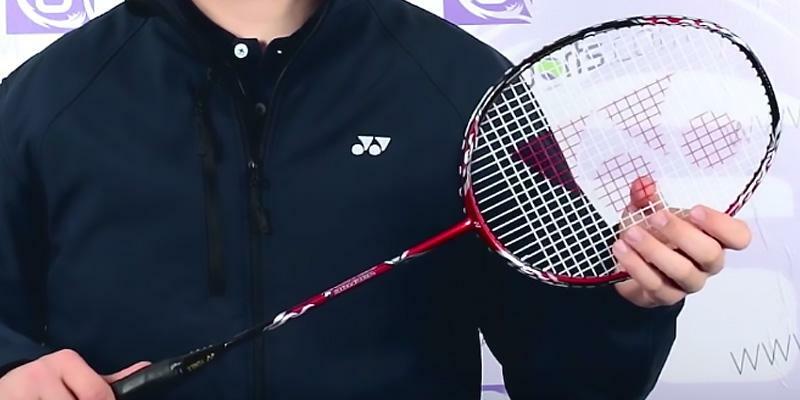 This is one of the most manoeuvrable rackets one can find as of today, thanks to the TRI-VOLTAGE SYSTEM and added weight to the upper and lower parts of the head. 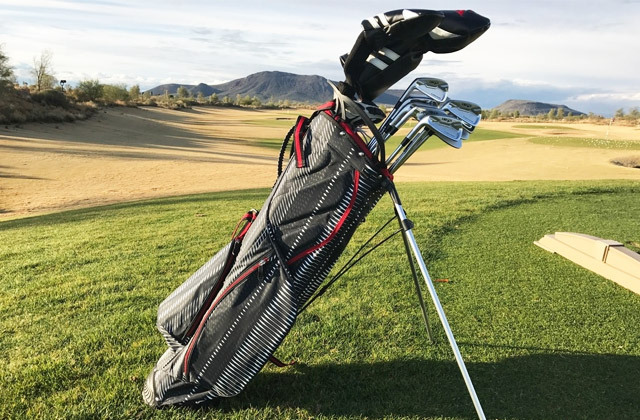 High-quality strings along with a sweet spot ensure that a player can make the hits stronger even with a shuttle being off-center, directing it in the desired direction. Judging from the design, the Yonex Voltric 7 offers great comfort during playing too, owing to a special control cap for a firm grip and built-in jointer for durability. And if you're a skilled player who can't survive without playing badminton, purchasing the Yonex Voltric 7 will let you bring your game to a new pro level helping surpass more experienced players in the field. You don't think you're a good badminton player? Then, you should upgrade your old set of rackets and you'll change your mind straightaway. The Victor V-3700 Magnet racket is a find for all amateur and skilled players which can enhance their playing experience by times. With the Victor V-3700 Magnet racket in hand, you'd have to try to miss a hit, for its large sweet spot along with an isometric shape of the head allows players to return all hits regardless of where a shuttle's landed. For those who take badminton a serious game, the design of the racket isn't the last thing to consider too and this is where the Victor V-3700 Magnet racket hasn't failed to impress us either. By no chance it looks cheap; it will easily give you the reminiscence of professional gear used on a badminton court. It also comes with a carry case which makes it handier for storage and transportation and saves you the need of buying it additionally. 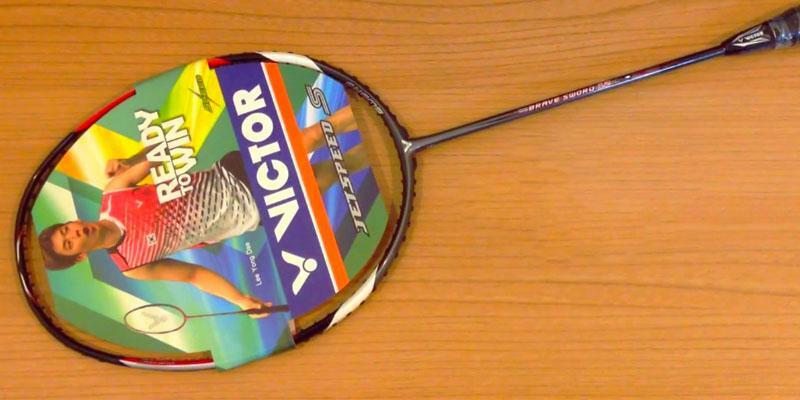 The Victor V-3700 racket is a decent choice to take and improve considerably your playing skills. Like in any sports players need to move a lot while playing badminton and the thirst is the obvious result. 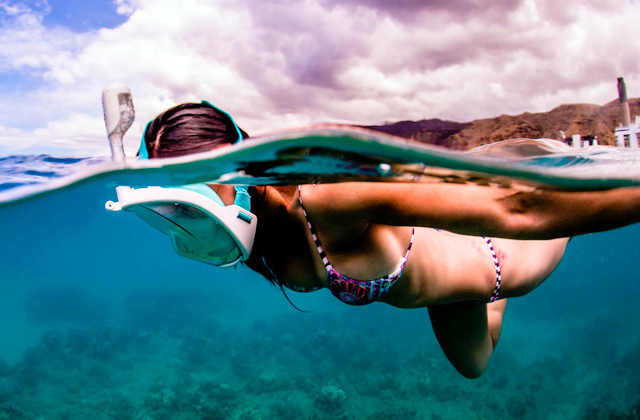 In order to get quick access to water, we recommend all sportsmen to use sports water bottles. When setting off for a picnic, eating barbeque and breathing fresh air aren't the only entertainment we all look for. 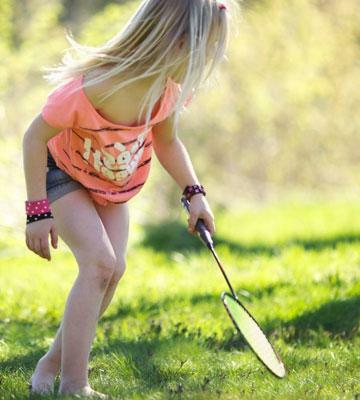 Badminton is often among the activities played by the whole family in the field away from home. And to make the game more enjoyable, the Senston manufacturer has created a fantastic set of 2 badminton rackets and 2 convenient bags for storing and transporting the set. 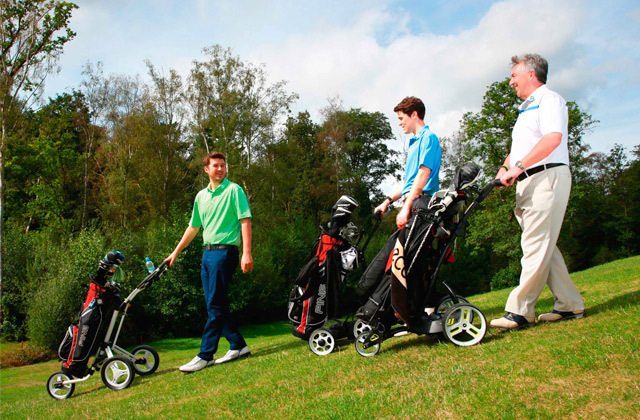 If you haven't got a shuttle yet, you can choose the same set by Senston with 2 shuttles included instead. Performance-wise, the rackets are pretty lightweight and therefore convenient to handle by both adults and kids. 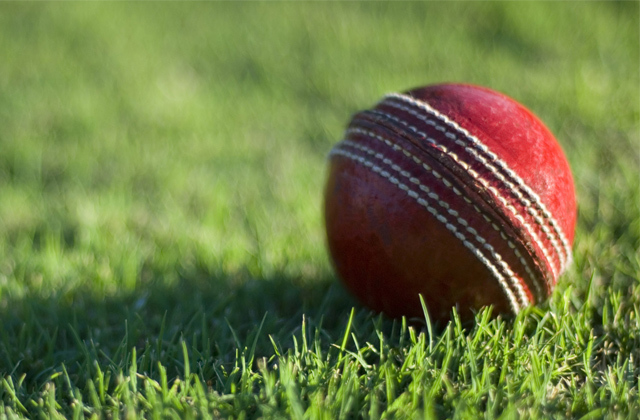 Owing to a thin shaft and frame design, they also ensure a much higher speed of strokes. 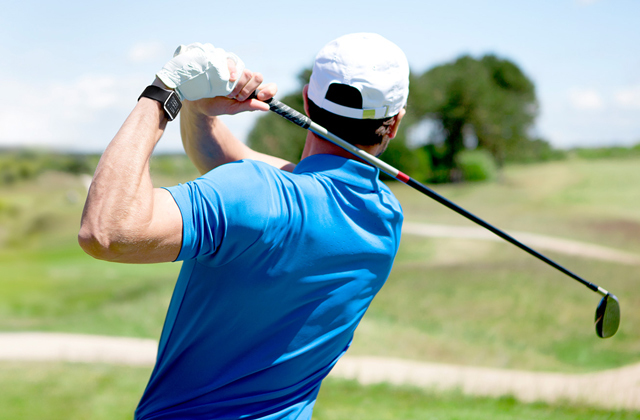 You will be able to play for ages and experience no hand fatigue, enjoying the balance and power of strokes. 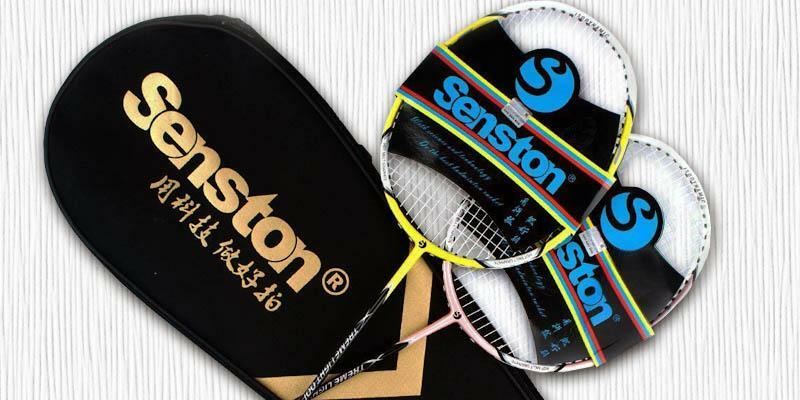 The Senston set might not be the best option for playing on a professional badminton court, but for occasional play in a circle of family or friends this pair will do just fine, keeping you all excited and active for a big part of a day. If you’re fond of badminton and you want your child to share your passion, we recommend you to give your kid a badminton racket as a present and the Talbot Torro Bisi can be one of the best ones to consider. The company is known for its release of a special series for kids which include BISI Mini for children of 6-8 years age, BISI Junior for 9-11 aged kids and Bisi Classic set for the elder. With such a great variety of choices, you'll be able to pick the right one according to your child's age and skills too. This peculiar one which we've brought on our shortlist is from the Junior series; its overall length makes 58 cm and the weight is somewhere around 95 g. Comparing to the rackets aimed at adults, this one is noticeably shorter, yet, for kids just same convenient to hold. 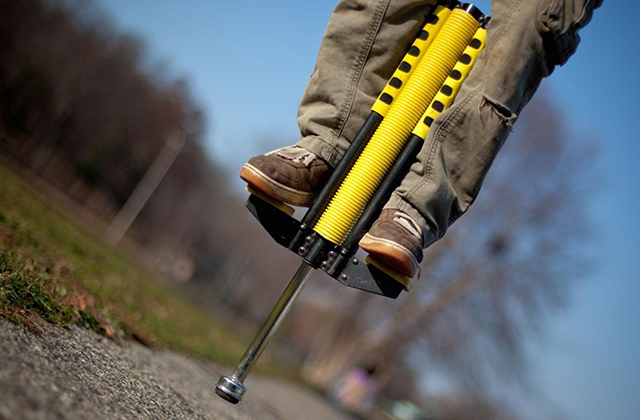 What also important when buying something for kids is how long the thing is going to last (you know how all kids are). You wouldn't need to worry about this issue with the Talbot Torro Bisi, owing to the robust combination of graphite, tungsten and steel materials, guaranteeing a long service life of the set. 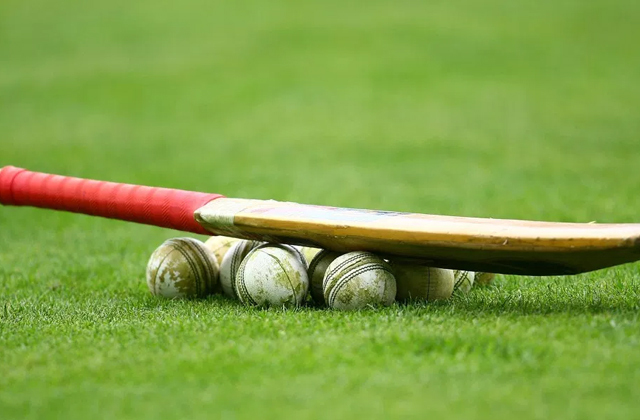 Even if you're not that much into playing badminton, now and then it's still nice to go out and make a few strikes passing a shuttle to and fro. For a reasonable price and with decent performance capabilities, you can get the Vicfun Hobby badminton set and play badminton with your friends in the yard or on badminton courts. The weight of the racket is 90 grams, which makes it just a little bit heavier to more expensive rackets while the overall length of 67 cm makes it level to the peers. Both the frame and shaft are made of steel to extend the service life of the rackets and add weight to it in order to improve the accuracy of strokes. 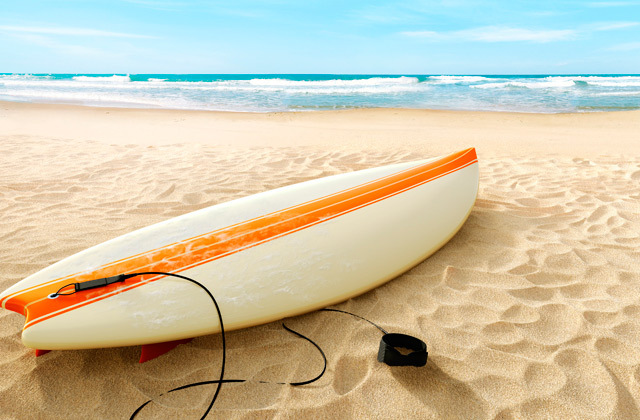 The set is shipped with all accessories required for a game - two rackets, two shuttles and a storage bag, which means, once you get it, you can go play instead of keeping surfing the web for the rest of the stuff. At a price like this, it is a real bargain. Even though the Vicfun Hobby badminton set would not obviously survive an intensive rhythm of professional badminton players, it will surely do a great service to all those who love to play badminton for leisure, on vacations, weekends, etc. Also, we would like to mention such game as tennis. This game has its distinctive features, but similarly to badminton, it is impressive and exciting. 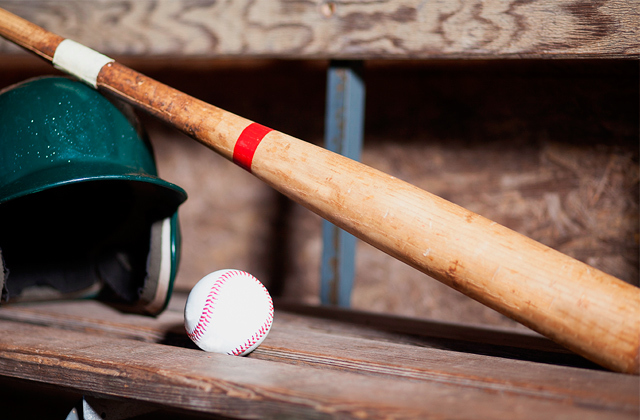 To play tennis, you may need to get equipped with one of the tennis racquets. 1. Guide to Badminton Rackets, iSport. 2. Rob Harris How to Choose a Badminton Racket, azcentral. 3. How to Buy a Badminton Racket, wikiHow. 4. Nicole Lee How To Choose A Badminton Racket, active SG. 5. 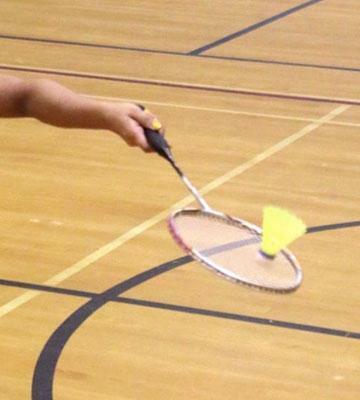 4 Things to Consider when Buying a Badminton Racket, yp.ca.